Elizabeth Burness has been collecting interesting clothing for 12 years. She is a storyteller and hers is a working collection; the tools of her trade. Elizabeth takes selected items to aged care facilities and community groups where she uses the clothing as a pathway to tell stories of the past. Sometimes Elizabeth assumes a character from a time and place in the past and literally gets into a costume of that period to tell her stories. Elizabeth uses her collection to evoke emotions. She encourages her audience to appreciate her collection with their senses; to smell, to touch and to see. She values any, 'use-wear' that is apparent on the clothing. The stains and the mends are used to imagine the life of the garment before it came into her hands. Most of the items in her collection an, bought from charity shops and markets. With few exceptions, the items are unprovenanced. They serve as typical attire to connect the present to the broad sweep of times past. CMAG is glad to have the opportunity to display this small selection from Elizabeth Burness’ vintage clothing collection. 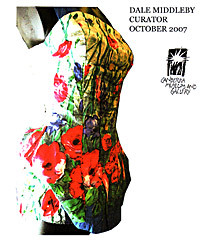 Our thanks to Eric Archer and David Parker, National Museum of Australia, for providing mannequins for this exhibition.